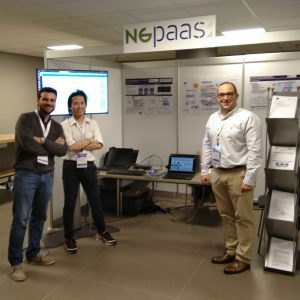 Since Tuesday 10th October 2018, NGPaaS is participating in the flagship event SDN/NFV World Congress, ”the place to be ‘, to share the outcomes and the achievments of the project and get feedback directly from the business actors. 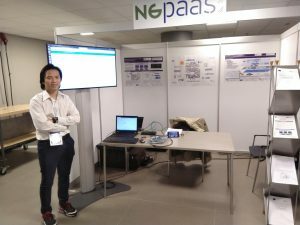 NGPaaS is participating in the exhibition via a Booth. It is a technology sponsor of the event. Workshop – demo session arranged by the Danish Society of Engineers (IDA) around the topic of SDN. It includes presentations by operators, academia and demos of the work developed at DTU Fotonik, where projects based on ONOS and CORD will be showcased. To give more visibility to the work conducted in 5G-PPP and NGPaaS, two white papers have been posted on the communications channels offered by Layer123/SDN-NFV World Congress. One of NGPaaS scenario to demonstrate the build-to-order principle is the Telco PaaS. It is based on CORD. Wtach this video for more details. If you want to learn more about the Dev-for-Operations developped in NGPaaS, We invite you to watch this video. If you like it, please click on ‘like-it’. 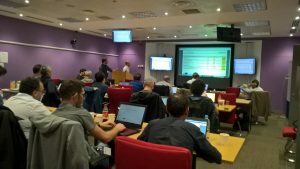 NGPaaS organized the 6th face-fo-face meeting in Ipswich, UK. The meeting is host by BT. It was focused on review preparation, the work progress in the different WPs and the preparation of next event like the Open Network Summit Europe 2018 and SDN/NFV World Congress. 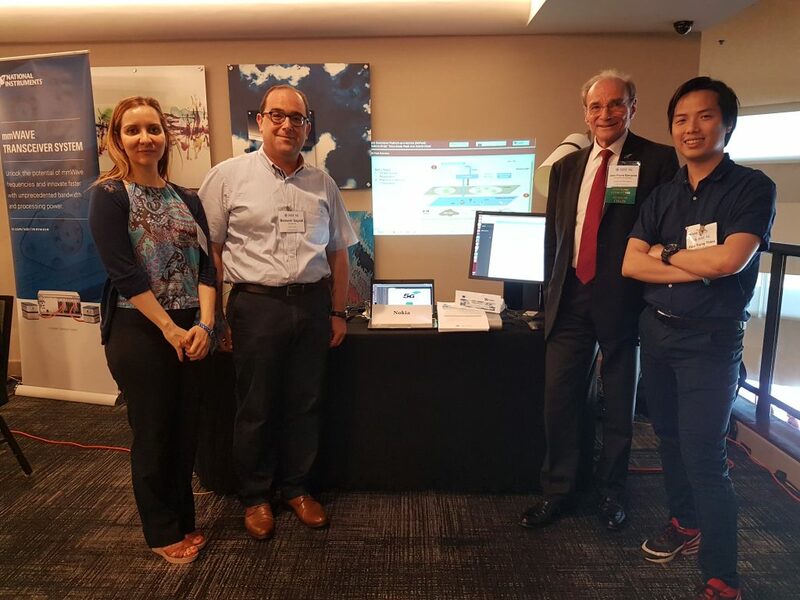 At the first IEEE 5G World Forum, that took place on 9-11 July 2018 in Santa Clara, CA, USA, the 5G Infrastructure Association (5G IA) and the 5G PPP played a key role in co-organizing the Worldwide 5G Industry Fora Session, and in presenting three Phase 2 Projects, showing demos and contents. Bessem Sayadi, NGPaaS Project Coordinator at Nokia Bell Labs, argues:” We must ensure ascending compatibility with the cloud environment in order to design a cloud-native 5G system and benefit from the best technologies from the cloud industry, essentially today the open source community, including micro-services, the de-facto cloud industrial standard, and more generally the service based architecture, and the most crucial technical assets from 5G PPP Phase 1 and Phase 2 projects”.